The authorities returned in force in January, with four constables, Inspector Alexander Eames, three trappers, 42 dogs and about 10 kilograms of dynamite. Johnson would not surrender, despite a 15-hour siege during which the cabin was blown up. The posse was forced to return to base to restock. 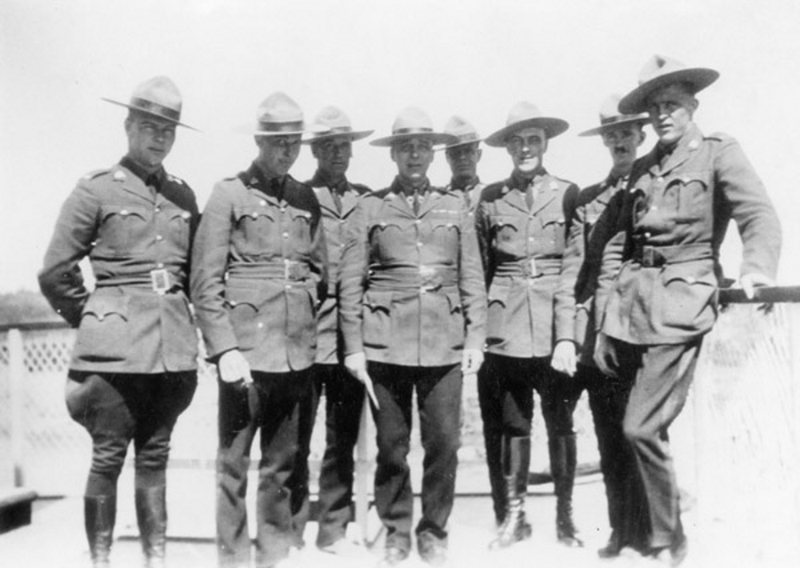 Royal Canadian Mounted Police involved in hunting the “Mad Trapper.” From left: Constable A.W. King was wounded; Mr. Hutchinson; Corporal Hall; unknown; Mr. Melville; Corporal R. S. Wild; Constable E. “Newt” Millen was killed; unknown. The next party, numbering 21 including 11 Loucheux, arrived at the cabin to discover Johnson had decamped. Millen, a soldier and two trappers tracked him into the wilderness, enduring two blizzards and temperatures near -50°C. When they caught up with him on Jan. 30, he killed Millen and fled over the 1,200-metre Richardson Mountains into the Yukon. Hundreds of people became involved in tracking him. For the first time, the RCMP used a plane to help get their man, enlisting legendary bush pilot Wilfred (Wop) May, who directed them to the Eagle River. It took two weeks for a crack team to catch up with him. 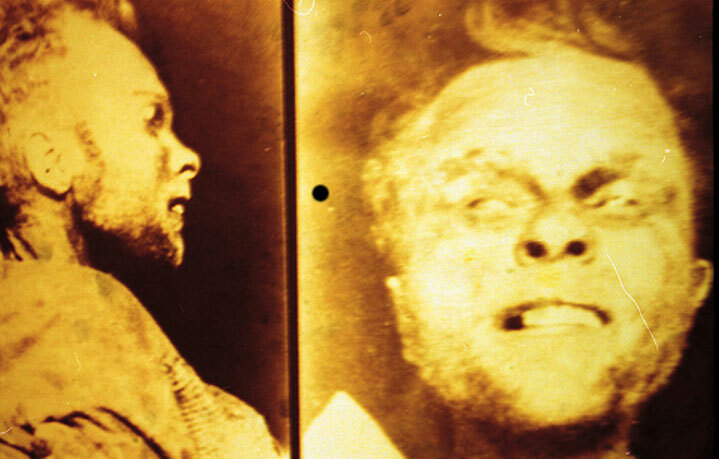 Johnson, prepared for a gunfight, was armed with three rifles and plenty of ammunition. 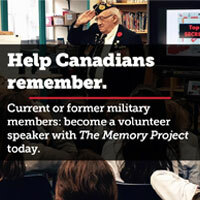 In the ensuing shootout on Feb. 17, Johnson was killed and Staff Sergeant H.F. Hersey, of the Royal Canadian Corps of Signals, was injured. Mystery still surrounds the case. Who was Johnson? Why was he trapping in the wilderness when he had in his possession a fortune worth about $60,000 in today’s dollars? Was Johnson even his real name? No one knows. 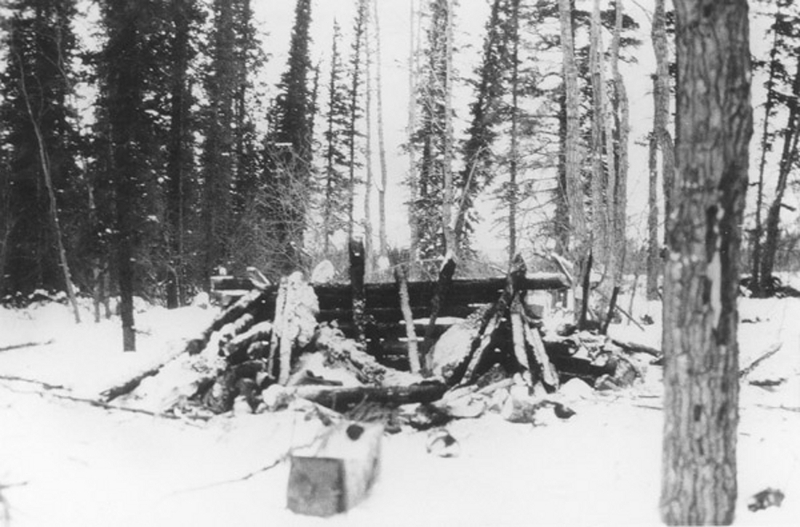 Albert Johnson kept fighting from a hole in the ruins of his cabin on Rat River after Royal Canadian Mounted Police besieged and destroyed it with dynamite.